I'm using RyuXRaven now. AbelXSteve was fun, but they have too many bad matchups which makes it really hard to win in this game. I think Steve is pretty bad overall, the only thing he has going for him is damage and people will get used to not pushing buttons when he is in range. RyuXRaven are both versatile and can handle most characters on their own. Their tag combos are also really damaging. I think they are two of the best characters in the game. I may switch Ryu out because he is a bit boring but I need a character with strong anti-air and good zoning tools. There are some issues with this game (auto tech/block gems, timer) but I'm still enjoying it a lot so far. After playing this game for a week, I think the most important aspect is being able to create opportunities and have meter for tag combos and alpha counter into tag for safety and damage. So characters who can build meter and create damage without using too much meter will be strong. This is character-specific of course because some characters have great options with meter, but I have a feeling a large part of the metagame will revolve around these concepts. I also have to admit that this game is a lot more interesting than I thought it would be before I played it, and I'm enjoying the decision-making situations a lot. - get in easily using forward MK and rolls. Abel is great against fireball/DP type characters. - put up a decent fight at both mid (forward MK, st LK chains have also deceptive range) and open people easily at close range (TT, st HK overhead, etc). 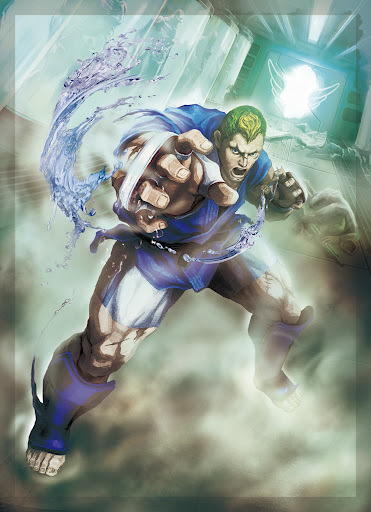 His optimal range is larger than Steve's, who can really only create significant damage within cr MK/forward MP range. Using tag in combos you can take advantage of Steve's high damage juggles and put him into counter hit range, right where he excels. Make people press buttons within cr MP range -which they usually tend to do after fighting Abel at close range for some reason- and you can do massive damage. I generally find myself often swating people out of the air for great counter damage, with both characters. Not very reliable against smart turtles but you can kill many characters really quickly if they jump around carelessly. Steve's team super is also a good anti-air so I'll use it if I have the meter and I'd rather switch to Abel, although it goes against the philosophy of "safety+damage first" I described earlier. This highlights the first issue I have with this team: AA and reversal options are generally average without meter so sitting on a lead can be difficult sometimes. Playing against grapplers (esp. Hugo and Zangief) is a bit nerve-racking because for this reason. Your optimal range is located right into theirs so creating damage opportunities is difficult. 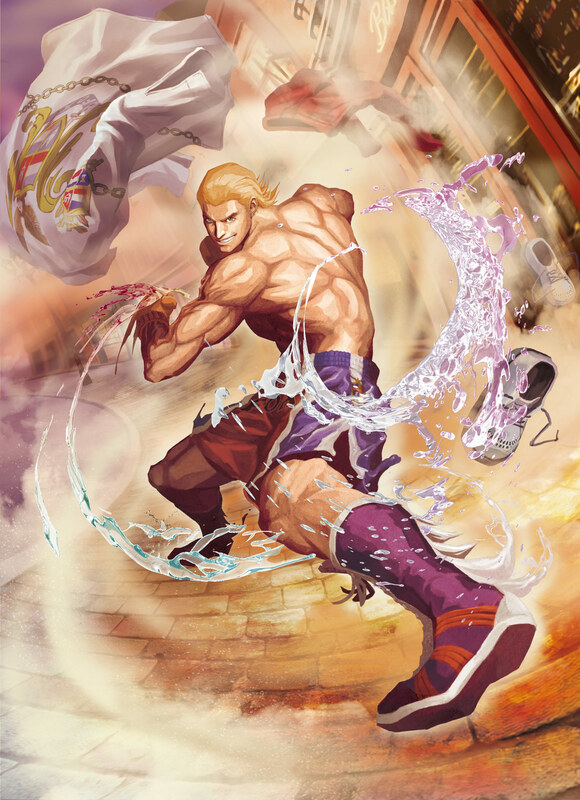 Also unlike in SF4, Abel's TT seems throwable in this game which makes it even more annoying. I've tried zoning them out with Steve's fireball but had a hard time punishing their jump-ins. - Abel's alpha counter is a roll which feels like it can't be canceled into tag, so safety relies on the recovery of the move you just countered. Sometimes you can punish the recovery of a multi-hit move with TT though, so it's not all bad. Alpha-counter into raw tag doesn't feel safe. - Steve's alpha counter is a knockdown and looks like it can't be tag-comboed into. This move seems very useful but using 2 bars for no damage doesn't feel great. This is a really fun team but using it against strong rushdown/defensive players will be a challenge. RyuXSteve definitely has better complementarity. Not really sure who I'll be switching out because I don't really want to play Ryu (played him a lot in SF4) and I haven't found another character I really like to pair with Abel yet.